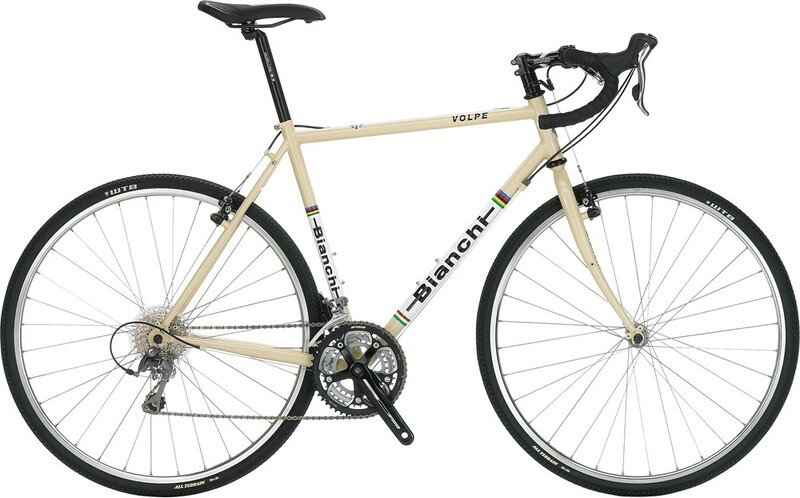 Bianchi's Volpe is a versatile go-anywhere road and path bike. It's equally at home on pavement and dirt, ready for fast and short rides, and capable of fully-loaded long-distance touring, too! Its lightweight chromoly frameset accelerates, climbs and corners like a dream while soaking up road vibrations for sweet comfort. And, the Volpe boasts a 30-speed FSA/Shimano drivetrain for cruising over hill and dale, while the cantilever brakes deliver serious stopping power and super mud clearance. Plus, the reliable Bianchi 700 x 32c wheels and tires mean you can even hit the occasional trail with confidence.